BATMAN AND THE OUTSIDERS #1 - DC Comics - When the quest for justice drives Batman into some morally ambiguous areas, he calls in the most moral man he knows: Jefferson Pierce, a.k.a. Black Lightning, and his team of operatives known as the Outsiders! SAVAGE AVENGERS #1 - Marvel - Writer Gerry Duggan and artist Mike Deodato assemble the most savage, most unkillable team of characters in the Marvel Universe! Wolverine! Venom! Elektra! Punisher! And in their midst - Conan the Barbarian! What is the City of Sickles? Who is the Marrow God? How is the Hand involved? The roughest and most dangerous characters rumble through this new title starting with...Conan vs. Wolverine? 'Nuff said. 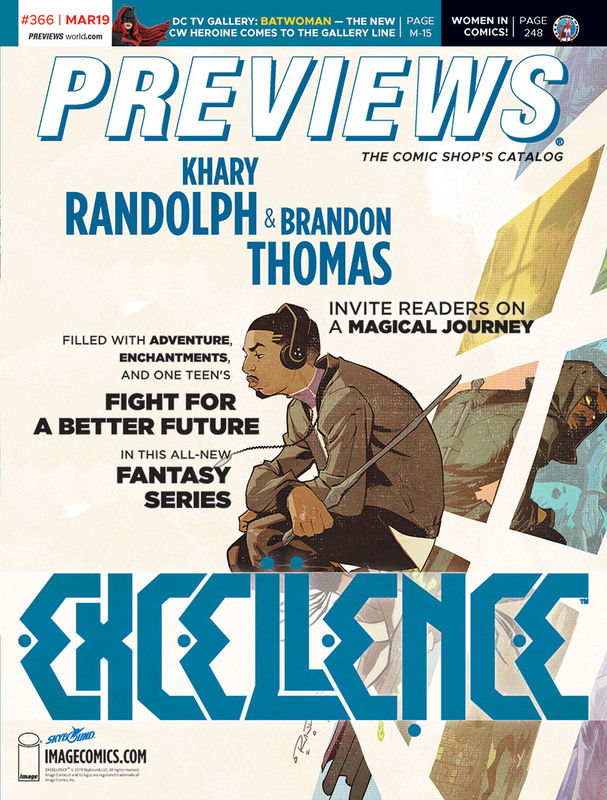 EXCELLENCE #1 - Image - Spencer Dales was born into a world of magic. His father belongs to a secret society of black magicians ordered by their unseen masters to better the lives of others, but never themselves. Now it's time for Spencer to follow in his father's footsteps, but all he sees is a broken system in need of someone with the wand and the will to change it. Don't miss these exciting comics - sign up for a hold file and reserve your comics in advance! Need to know when your favorite comics are coming? Sign up for our Newsletter! Escape Velocity Comics & Graphic Novels © 2019. All rights Reserved.